Channel your inner Belle with these cute, comfortable sneakers. The movie won't be out for another couple weeks, but you can help build your excitement even more with New Balance x Beauty and the Beast, a sneaker collection released today on newbalance.com. 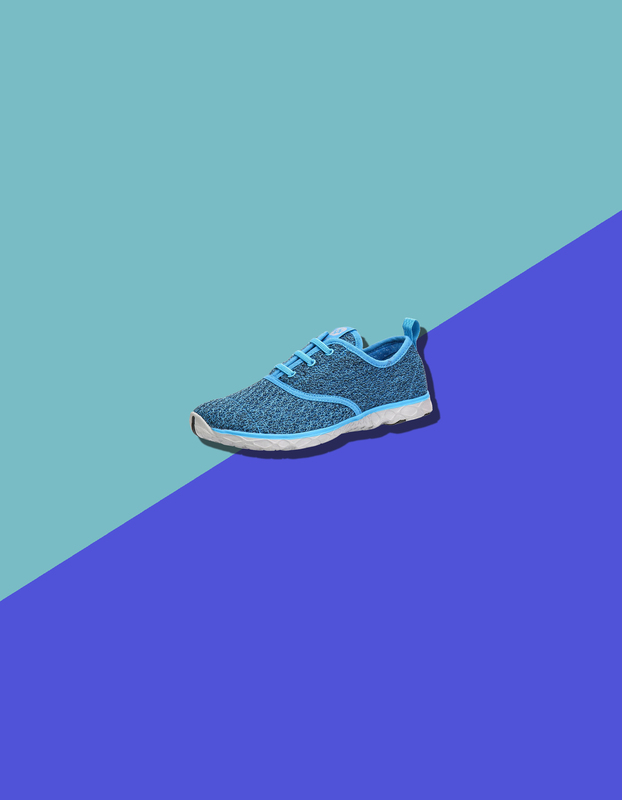 The three women's shoes are inspired by Belle's different looks, and can be worn for running, cross-training, or frolicking through your local library. Look royal in and out of the gym with a sneaker that honors Belle's gold ball gown. Metallic highlights, lace-mesh upper, and swirl detailing on the heel are subtle, yet sweet. The Vazee Transform is designed for cardio-strength workouts but can also be worn for running or your day-to-day. Be the belle of the running trail with these sleek sneaks. The lightweight running shoe feels springy and features a no-sew design for ultimate comfort. Plus, the plush velvet lining calls to mind Belle's purple gown. Inspired by Belle's blue apron, this chambray shoe is designed for easy, casual wear. With no laces and an embroidered floral arrangement on the side, this shoe adds a touch of whimsy to any look.